The countdown is on for the final season of Game of Thrones, and that means different things for different people. Some of us can’t wait for season eight to premiere, because we’ve missed our favorite fantasy drama terribly. Others dread that very date since it heralds the impending end of the series. But it’s safe to say that all fans look forward to finding out who’ll win Westeros — and, if the betting predictions of oddsmakers have any merit, we may already know who’ll ultimately sit on the Iron Throne. Curious to see how your best guess stacks up? Look to Las Vegas. Just don’t be shocked if the current GoT character sitting atop the betting leader boards isn’t who you thought it would be. It isn’t Cersei Lannister (Lena Headey), despite the fact she’s managed to retain power in Westeros for so long. It isn’t the Mother of Dragons, Daenerys Targaryen (Emilia Clarke), although fans often favor her. Rather, per TVGuide, a surprise twist in the season eight teaser trailer led to an unexpected spike in the favor of a character once thought dead. Have you guessed yet? Here goes: Bran Stark (Isaac Hempstead-Wright) has reigned as Las Vegas’ gamblers biggest contender to become the iron throne victor. However, that’s not to say ol’ Bran has it in the bag. Betting site OddsShark put Bran’s odds last month at -150 — a considerable lead over the other characters. As of April 2, though, OddsShark had dropped Bran’s odds to +300. Still at the top, but now Jon Snow (Kit Harington) is rapidly closing that gap with odds of +350. Also, Daenerys has jumped from a laughably inexplicable +1200 to a much more reasonable +500, meaning gamblers aren’t counting her out yet either. The odds have also increased in favor of Sansa Stark (Sophie Turner), who is up from +800 to +600 and just trailing the Mother of Dragons. Somewhat surprisingly, Cersei is nowhere near the top of the list. For all her master manipulating, she’s hovering at a paltry +2500. So, as you sit and obsessively ponder who’ll live or die or rule Westeros when all is said and done, at least now you have some numbers to bolster your theories. 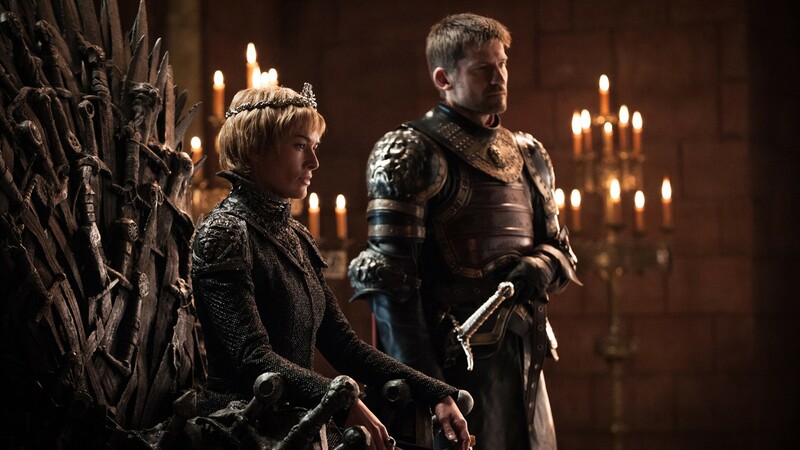 Still, we the fans won’t know the final judgment until the end of season eight, the first episode of which kicks off on HBO Sunday, April 14 at 9/8c.